I’ve been living in Berlin for the better part of five years now. 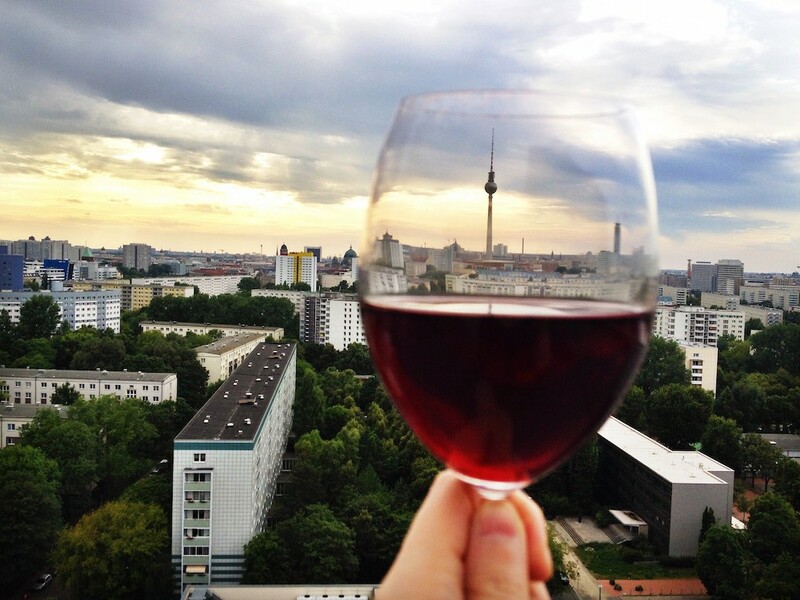 As I’ve shared my expat life experiences here on the blog, people planning a vacation in Berlin often write and ask me about the things they should see when they’re here, where they should eat, where they should stay, and more. New expats also ask me more practical questions such as how to find a flat, where to learn German, or meet new people. Many people who write to me are young students just starting university. As such, many of them are living with limited funds. Not only are they looking for budget accommodation options, they also want to know how they can best enjoy the cooler aspects of Berlin on the cheap. That’s why I was so happy when I was contacted by Uniplaces, a company who helps people find student accommodation in Berlin and other cities. 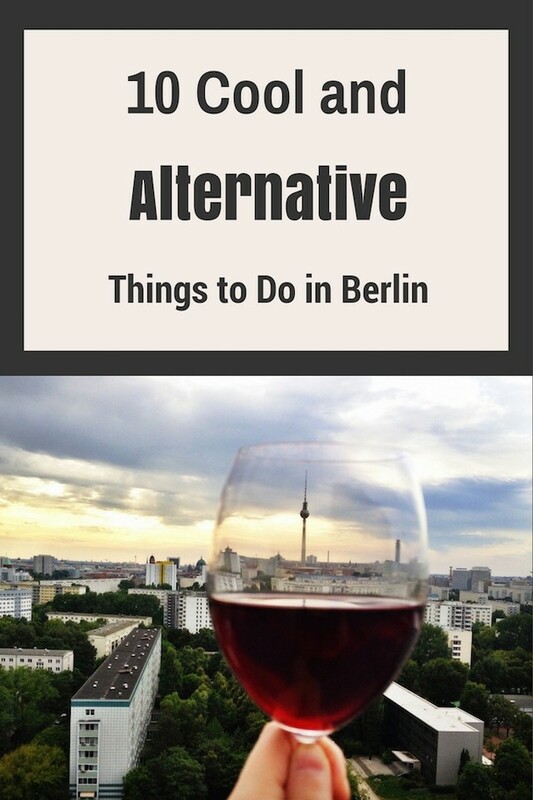 In order to provide useful, yet fun information, we teamed up and put together this fun list of 10 Cool and Alternative Things to Do in Berlin (That Won’t Break the Bank). While I could easily make a much longer list of things to do in Berlin, in order to keep it short and sweet, we kept it limited to 10. Recommended reading: Some of my other top 10 lists, including 10 Favourite Things About Berlin and 10 Reasons Why Berlin is So Cool. 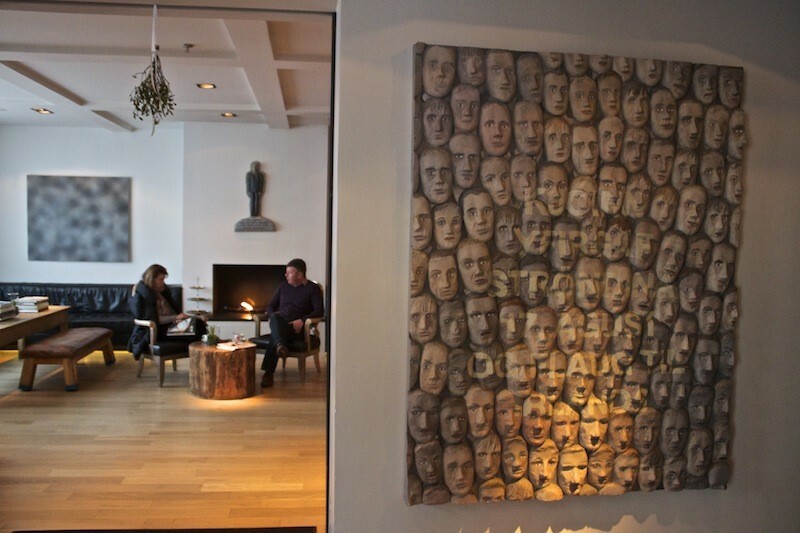 Also check out my friend Kash’s article about some top notch budget places to stay in Berlin. 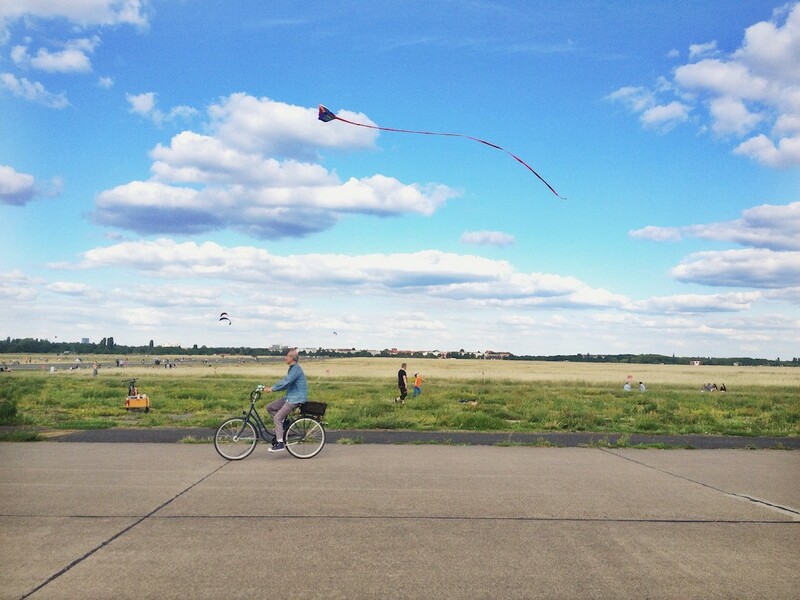 Tempelhofer Feld is a former airport that was transformed into a massive public park in 2008. At 386 hectares, it’s now one of the largest parks in the entire world. People come to the park to play sports, be it cycling, running, skateboarding, flying kites, or playing mini-golf. If you’re feeling a bit lazy, you can even rent a segway and cruise on down one of the runways! Others come to BBQ, walk their dogs, explore an abandoned airplane, tour the hangars, work in the community garden, sun bathe, or relax at the Luftgarten with a beer. Many cultural events are also held at the park, including music festivals, fashion shows, tech conferences, and more. Location: Tempelhofer Damm, 12101 Berlin. If you’re looking for something crazy cool and fun to do in Berlin, then get ready to boogie down in one of the world’s smallest discos. A startup, Teledisko, has setup two such nightclubs in Berlin, one in Katerblau and the other in RAW Gelände. Situated in converted phone booths, you and up to two of your friends can stage your own private dance party complete with a fog machine, strobe lights, and of course, a disco ball. How does it work? Drop a €2 coin into the slot, select a song from a small touchscreen, enter the phone booth, shut the door behind you, and go! You can literally dance as if no one’s watching, as the doors will be locked from outside throughout the duration of your party. For an additional €2 euros, you can purchase a souvenir of your experience – either a classic four photo film strip or even a video, because oh yes, your session is recorded. I recently saw a video from some Berlin friends who danced (and sang) their hearts out to the classic Spice Girl tune, Wannabe. The Teledisko at Kauterblau is only accessible during opening hours, while the one at RAW Gelände is available 24 hours a day. Locations: Kauterblau – Holzmarktstraße 25, 10243 Berlin and RAW-Gelände – Revaler Str. 99, 10245 Berlin. If you’re on a hunt for even more cool and alternative things to do in Berlin, then head to Mauerpark on a Sunday. It’s the place the be! Shop for vintage fashion, DDR memorabilia, antique furniture, and more at the flea market. If your bike’s been stolen at some point, chances are that you may even be able to find it and buy it back here (Mauerpark’s one of the hotspots for thieves to sell bikes). After you’ve shopped until you’ve dropped, grab some grub from one of the many food stalls or kick back at the beer garden, Mauersegler. Other fun things to do are listen to the various buskers crooning tunes, watch street artists painting fresh murals, jump on one of the swingsets, or simply people watch. You’ll be sure to see many aspiring models in stylish outfits, just waiting for a photographer to snap them for their street style blogs. 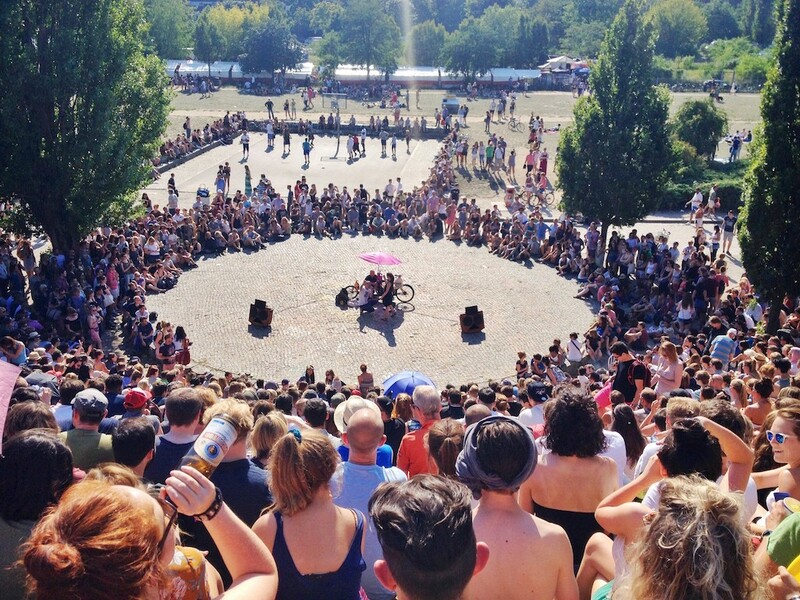 By far, the highlight of Mauerpark on Sundays is the Bearpit Karaoke that takes place in the amphitheatre at 3:00 p.m. Watch all of the brave souls get up and sing their hearts out in front a crowd that sometimes numbers in the hundreds. If you dare, get up, and belt out a tune yourself. Note – the karaoke only takes place from spring through fall, weather permitting. To experience the Mauerpark vibe for yourself, watch this video from my friend Luci of Moving Postcard. I even make a few cameos. Location: Gleimstraße 55, 10437 Berlin. When you’re feeling hungry, grab a burger at Burgermeister, one of the best burger joints in town. What makes Burgermeister so unique is that it’s situated in a century old former public toilet, located directly under the U-Bahn track at Schlesisches Tor, along the U1 line in Kreuzberg. The long queue during the day and even late at night is a testament to just how “melt in your mouth” tasty their burgers are – if you don’t believe me, read this article from Berlin Food Stories. If you prefer to skip the public toilet experience, they also have a second location at Kotbusser Tor. Locations: U-Bahn Schlesisches Tor – Oberbaumstraße 8, 10997 Berlin and Kotbusser Tor – Scaliger Strasse 136, 10999 Berlin. Once spring arrives, Berlin comes alive with plenty of epic street parties. May 1 is a public holiday in Germany, and in Berlin, thousands of people converge on Kreuzberg to celebrate and party at a giant street festival known as Myfest. Previous Labour Days in Berlin were known to be full of demonstrations, riots, and general civil unrest, so locals wanting to take back their community started the festival to offer up a peaceful and fun alternative. Come for the live music performances, delicious street food, dancing on the street, and drinking with the other drunken party revellers. Have fun, feel safe, and don’t mind the heavy police presence. In June, Berlin celebrates the city’s multicultural diversity for four days at the Carnival of Cultures which includes a huge parade and street festival at Kreuzberg’s Blücherplatz. Buy your fill of arts and crafts from the market stalls, taste food from around the world, and take in all sorts of entertainment, including music, dancing, and even acrobats and musicians. Another great party that takes place each July is Christopher Street Day (CSD) when Berliners come together to celebrate Pride. 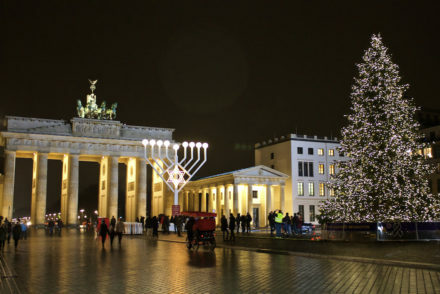 Watch (or maybe even take part) in the parades – the main one usually starts in Charlottenburg and ends at Brandenburger Tor and later on in the day, another one takes place in Kreuzberg. Come evening, head to one of the many parties at different clubs around the city. My go to spot is SchwuZ in Neukölln, one of Berlin’s longest running gay clubs. 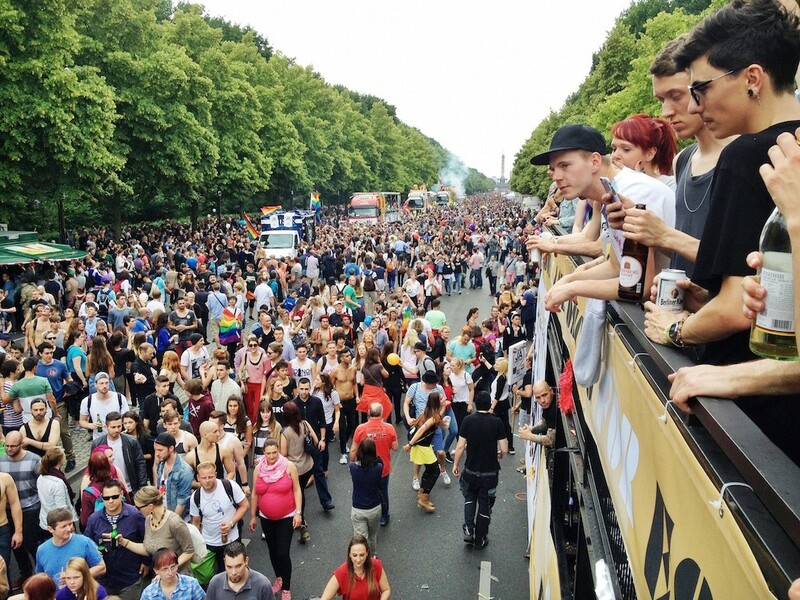 Recommended reading: Experience Berlin Myfest 2018 in Photos and Love and Pride – Berlin CSD 2015 Photos. You’ll find the legendary Bücherwald, or book forest in Prenzlauer Berg’s Kollwitzkiez. More commonly known to locals as the book tree, this structure of five wooden logs taken from the Grunewald, is a small street library or public bookcase. Built in 2008, the logs have several built in little nooks with protective plastic flaps to ward off any harm from bad weather. Locals come, leave their books, and take others with them. Completely free, you’ll find books in varying languages, covering a wide array of topics. If you’re keen, you can even attempt to track who your book goes next to at BookCrossing. For more information on the book tree, check out what AndBerlin had to say on the topic. 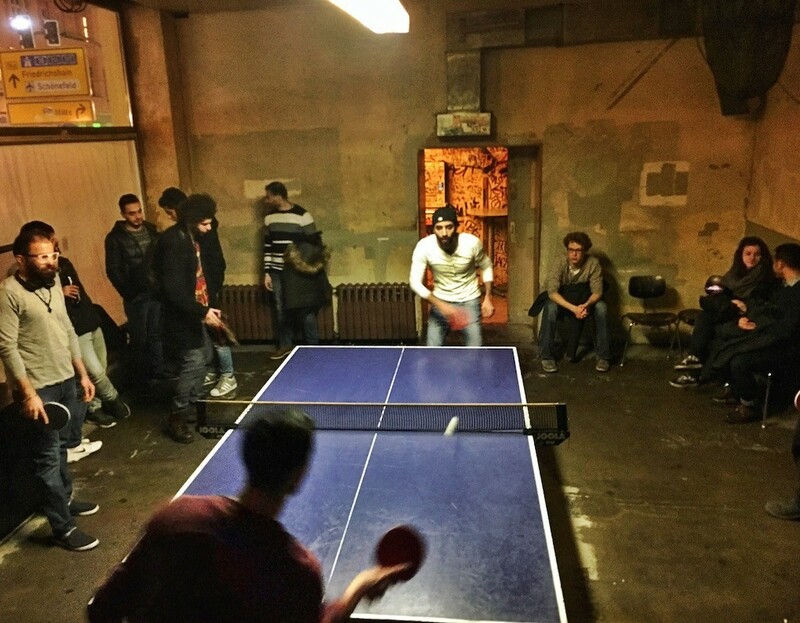 If you’re up for playing an unusual form of ping pong when you’re in Berlin, then look no further than Dr. Pong in Prenzlauer Berg. This rather spartan smoke filled dive bar with walls covered in graffiti, is only filled with a handful of tables and chairs and a single ping pong table. Bring a paddle (or get one from the venue by paying a €5 deposit), join a group with sometimes as many as 30 people, and enter into a game of “around the world” ping pong. This involves players walking around the table in a circle, each taking a turn to hit the ball back to the opponent across from them. It’s fun to watch a group come together and establish a rhythm with one another to keep the ball going for more than a hit or two. Table hogs aren’t welcome here, as this style of ping pong pong encourages participants to share, get social, and be part of a larger team. Bonus is that drinks here are cheap, with prices ranging anywhere from €2-5. Note, the location is hard to find, as the windows are covered in paper and the bar looks like it’s under construction. Chalk it up to part of the bar’s quirky charm and have a good time. Location: Eberswalder Str. 21, 10437 Berlin. Right up there in cool and alternative things to do in Berlin is the Badeschiff. This beach bar, not only has a sandy beach where you can play volleyball and snooze on a hammock, but it has large 30 meter long, 2.05 meter deep swimming pool set in the middle of the River Spree. Go for a swim, drink a cocktail, and munch on some BBQ. You can even attend parties or enjoy a concert there. Best of all, a day pass only costs €5. Location: Eichenstraße 4, 12435 Berlin. One of my very favourite things to do in Berlin is to spend a Sunday at the Thai Park in West Berlin’s Wilmersdorf district. The concept of the Thai Park wasn’t something that was purposely planned. 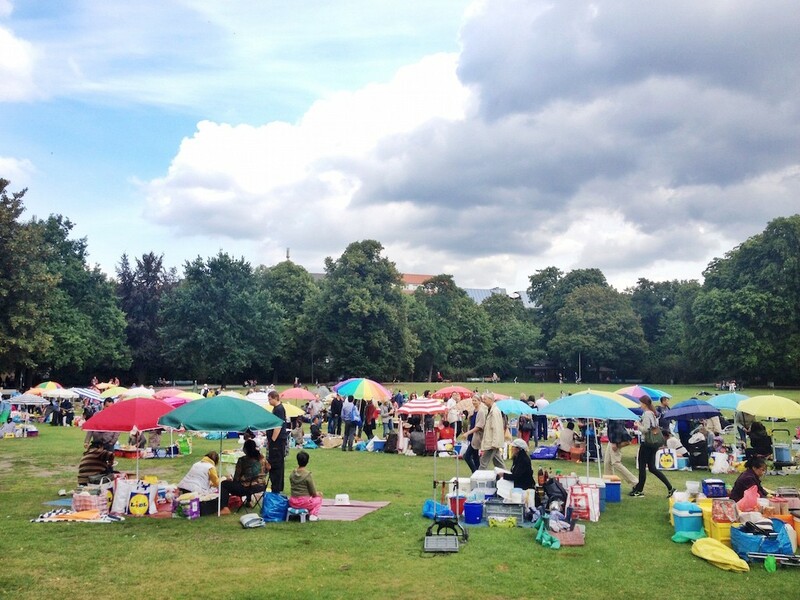 For years, members of the city’s Thai community would congregate each weekend in Preußenpark to spend time together, cooking, eating, and sharing their culture. It’s said that when other Berliners began to ask to buy food from them that they gradually started selling their food more often, and a street food market naturally evolved from there. After some time, locals came to know Preußenpark simply as the Thai Park. During the warmer months from spring until autumn, Thai vendors come to the park each weekend Friday through Sunday, offering up authentic dishes from varying parts of Thailand. You’ll find pad thai, curry dishes, fish, and even insects that you can eat, making you wonder if you were at a street food market in the middle of Bangkok. To drink, you can also purchase Thai beer, fresh fruit juices, and more. Most dishes won’t run you more than €5! A rule of thumb to follow at the market is to make sure that your dishes are cooked the moment that you order. This will help guarantee that you’re eating something fresh and isn’t something that’s been waiting out in the sun for hours. I usually visit the Thai Park with friends. We order an assortment of dishes, spread out a blanket, and indulge in a feast of Thai food. There really couldn’t be a better way to enjoy a summer’s day in Berlin. Location: Brandenburgische Str., 10707 Berlin. 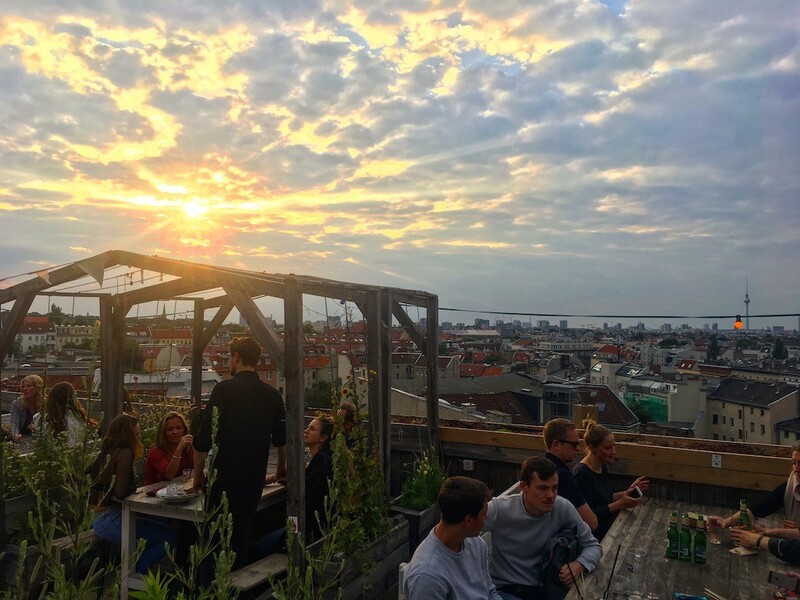 Last, but not least on my list of cool and alternative things to do in Berlin is hangout at the rooftop bar, Klunkerkranich. Located on the top floor of the Neukölln Arcaden, the former parking garage is now a casual and hip bar that offers up some of the best views over Berlin. It’s the perfect place to chill with a drink, watch sunset over the city, and listen to live music or talented DJs. Especially popular are their Jazz nights on Wednesdays. Pro tip? Get there before 6:00 p.m. in order to snag a good seat. Location: Neukölln Arcaden, Karl-Marx-Straße 66, 12043 Berlin. Uniplaces was founded in 2011 by three friends who had the same dream: to help students finding a place to live when they moved to another city or country. It worked out and nowadays Uniplaces has expanded internationally and became one of the key players on the student accommodation market. In Barcelona they offer more than 2000 rooms and flats for students across the city. Look here for student housing in Berlin. As you can tell, I’m a big fan of Berlin, as I lived here not once, but twice! I moved home to Canada but missed it so much, that I moved back. Knowing how hard Expat Life can be, I love to share content to help others settle into their new Berlin life. For even more Berlin related content, take a look at my Berlin guide. * Disclosure – In order to feature tools to help expats living abroad in Germany, I collaborated with Uniplaces. As always, any opinions expressed here are entirely my own. Wow ! That’s so cool that every Sunday, the residents of Berlin flock to Mauerpark in search of hard-earned bargains and hours of fun bartering with stall owners 🙂 Fancy myself a bit of a burger enthusiast ? For sure next time I will visit Berlin I will try a burger from Burgermeister ! This was an awesome post. You have a unique sense of travel… a little more unique than me. I think that’s why I enjoy reading this types of travel ideas so much! Thanks for sharing. Thanks for reading and leaving a nice comment Jeff!